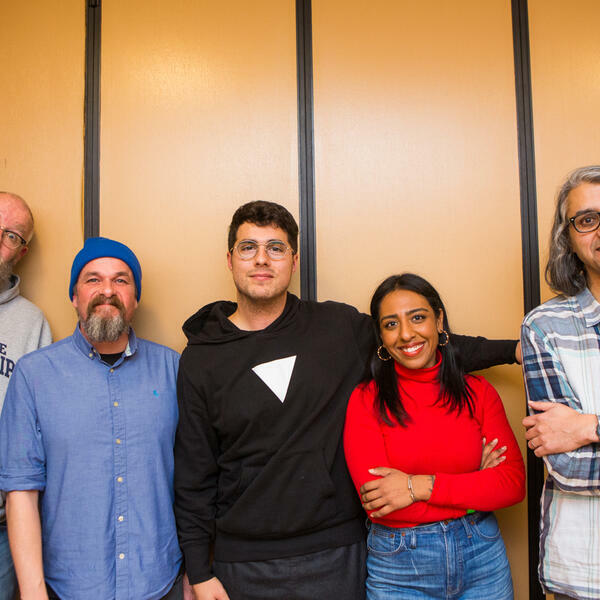 Audioboom / Anupa Mistry, Jeremy Dutcher, and Lee Reed on Long Night! Anupa Mistry, Jeremy Dutcher, and Lee Reed on Long Night! This episode of Long Night with Vish Khanna was recorded before a live studio audience at the Polish Combatants Hall in Toronto, Ontario during Long Winter on Saturday December 8, 2018. Our guests were journalist Anupa Mistry, musician Jeremy Dutcher, and musician Lee Reed. With announcer/sidekick James Keast and our house band, the Bicycles. Recorded by Dave MacKinnon. Produced by Vish Khanna and Long Winter. Photos by Shane Parent. Sponsored by Pizza Trokadero, the Bookshelf, Planet Bean Coffee, and Grandad's Donuts.